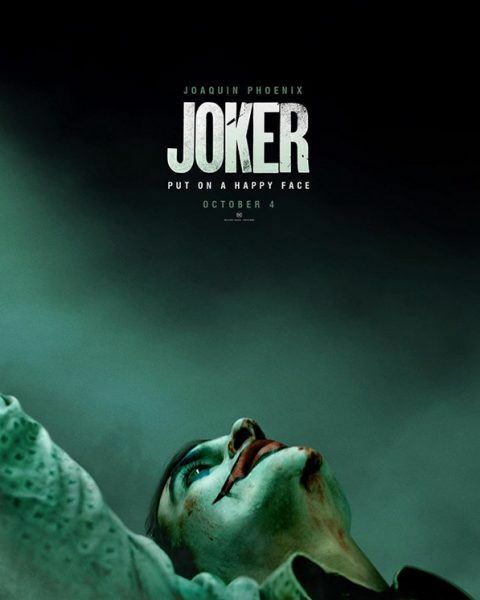 Check Out the Cinematic Inspirations for the Upcoming Joker Film! How do you give a character who’s infamous for having no definitive origin an origin? 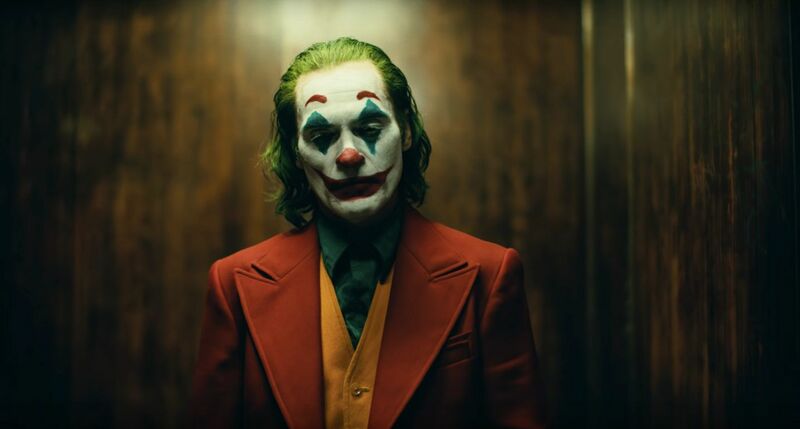 Let’s face it: Joker has stayed around long enough because he’s fascinating, but it seems that we’re afraid that fascination might leave our collective consciousness if we know anything about him. So, again, how do you give a character who’s infamous for having no definitive origin an origin? 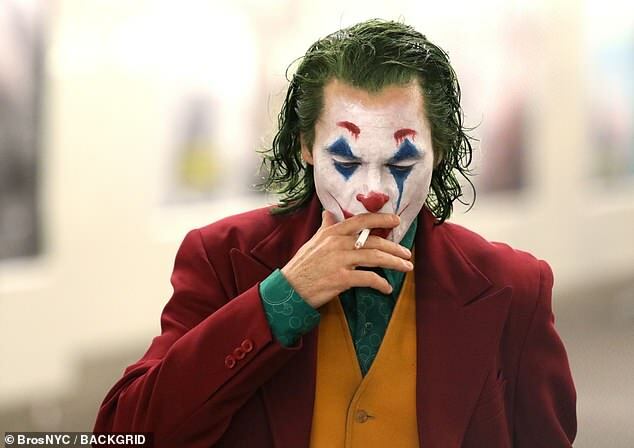 Although we know now that Martin Scorsese won’t be producing the new Joker movie, his touch is still prevalent in the film. Thought interviews, official statements, and just the general feel from the trailer, we can see the cinematic inspirations bubbling to the frame. Before we dive straight into this pool, let’s start with a little background. Specifically, let’s look at who’s producing this film. There are 3 of them. Not them. Well, at least, I don’t think so… but let’s give a face to these three smiles. First, we have Todd Philips, and he’s got an impressive resume. Not only was he the director of The Hangover Trilogy, Due Date, War Dogs, and now the new Joker Movie, but he was also one of the writers of Borat! : Cultural Learnings of America for Make Benefit Glorious Nation of Kazakhstan, which granted him an Academy Award nomination for Best Screenplay. Third, but certainly not least, is Emma Tillinger Koskoff. 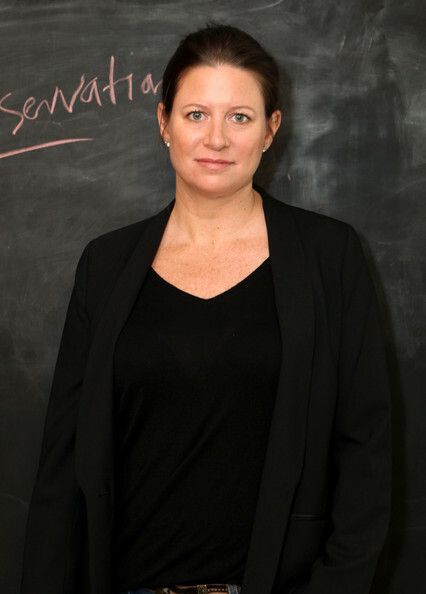 You may not know her name, but you’re likely to know her work. Screenplay Daily broke the news a few years back that Koskoff joined the Martin Scorsese production company Sikelia Productions in 2003 and, in only a few short years, was promoted to Production President in 2006. She was one of the producers on The Wolf of Wall Street and has been a driving force in Scorsese’s films for the last ten years. Come 2017, we got news that Scorsese himself would be the producer along with Scott Silver and Todd Philips. 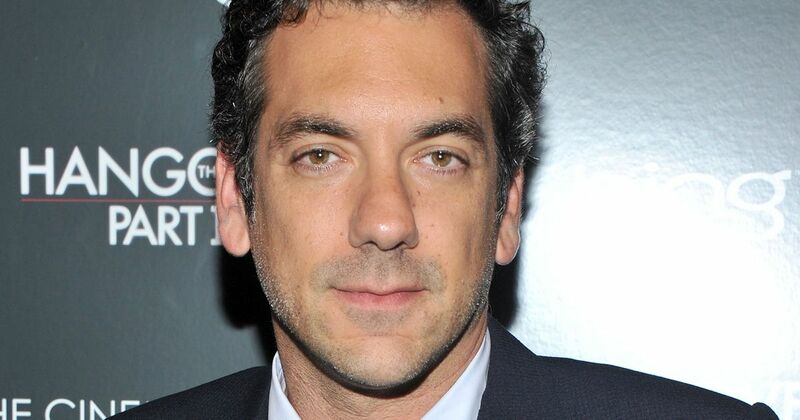 Todd Philips and Scott Silver are now the sole screenwriters, and Scorsese himself has left. But Emma Tillinger Koskoff stayed. Now it might seem I’m hammering this point in, and I am. With good reason. 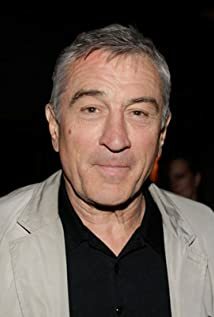 Robert DeNiro. Yeah, he’s really all we need. He’s been in a great many of Scorsese films, but his first notable one is Taxi Driver. Here’s the premise, courtesy of IMDB: a mentally unstable veteran works as a nighttime taxi driver in New York City, where the perceived decadence and sleaze fuels his urge for violent action by attempting to liberate a presidential campaign worker and an underage prostitute. Dark. Gritty. Grim. Those three words are most often used to describe this film. It’s a descent into madness as one man slowly loses himself in the crowds of the city. The film is rife with looming shots of harsh city streets, crowds bustling around and blending formlessly together, endless cigarettes being smoked down to the filter. You talking to me? Well, I’m the only one here. 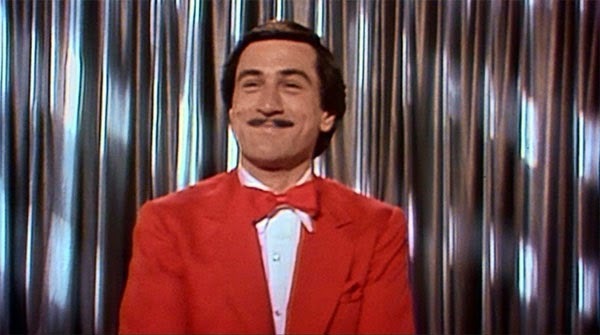 Robert De Niro, but in The King of Comedy, which also was directed by Scorsese. Here’s the premise, again from IMDB: Rupert Pupkin is a passionate yet unsuccessful comic who craves nothing more than to be in the spotlight and to achieve this, he stalks and kidnaps his idol to take the spotlight for himself. Joker, head thrown back, sporting a white polka-dot suit. Tomorrow you’ll know I wasn’t kidding, and you’ll think I was crazy. 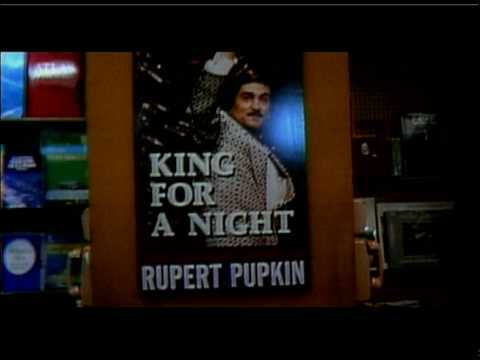 But I figured it this way: better to be king for a night than schmuck for a lifetime! That should be obvious. The King of Comedy is about a man who tries to be a comedian but doesn’t yet know that he just isn’t funny. And you know what? Batman thinks the Joker isn’t funny, but Batman isn’t in this movie, and that should scare us. When he kidnaps his comedic idol, played by Jerry Lewis, Pupkin doesn’t even have a loaded gun, but he’s absolutely terrifying. Throughout this film, we are entangled in Pupkin’s brain, and in there it’s nothing but ego. Pupkin is funny. Pupkin is the greatest, loved by all, hated by only the fools. He’s a man who deserves his shot at the big leagues, and if he doesn’t get it, he’s going to loose it. Maybe he does. The ending of the film shows Pupkin getting what he wanted: a show with an eager audience who can’t get enough, but the tone leaves us unsettled. Is this real? Or has he become completely lost in the narrative of his own construction? 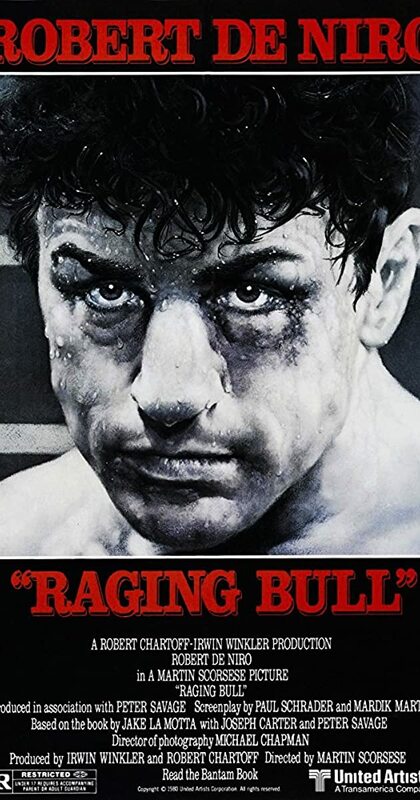 Then there’s Robert De Niro, but in Raging Bull, which was also directed by Scorsese. Here’s the premise, again from IMDB: The life of boxer Jake LaMotta as the violence and temper that leads him to the top in the ring destroys his life outside of it. 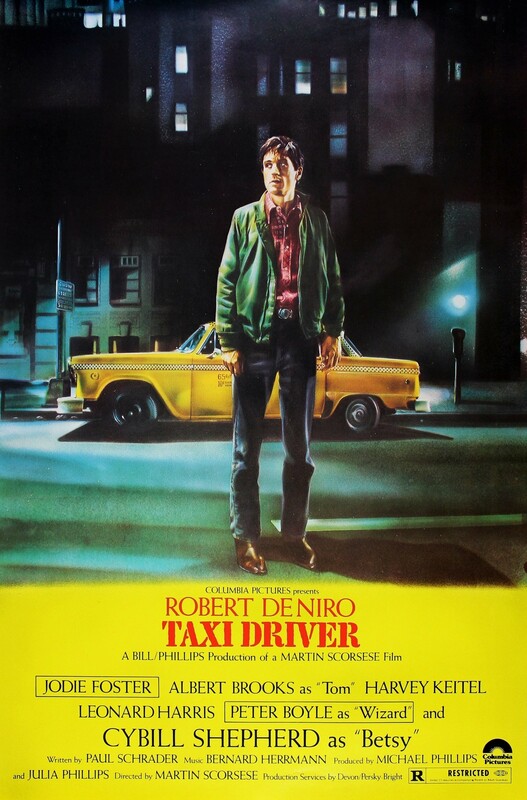 It’s the internal life splattered on the silver screen, just like with Taxi Driver, just like with the next film we’re going to look at (yes, that too is Scorsese). The intention is to make a gritty and grounded hard-boiled crime film set in early-’80s Gotham City that isn’t meant to feel like a DC movie as much as one of Scorsese’s films from that era, like Taxi Driver, Raging Bull or The King Of Comedy. In each of these three films, the character’s internal life is splattered on the screen. They are directionless people who find a direction that leads them hurdling towards a terrifying path. Oh, it will be done, and I’m screaming for this movie. 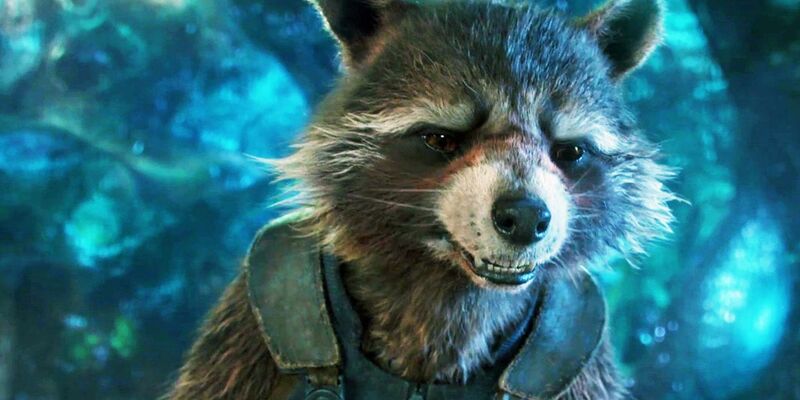 These films seem to serve as a template to give this classic comic book character a fresh new origin, and hopefully this film will be new but familiar territory instead of a whirlwind of a chaos. But I’m hopeful, and you know why?